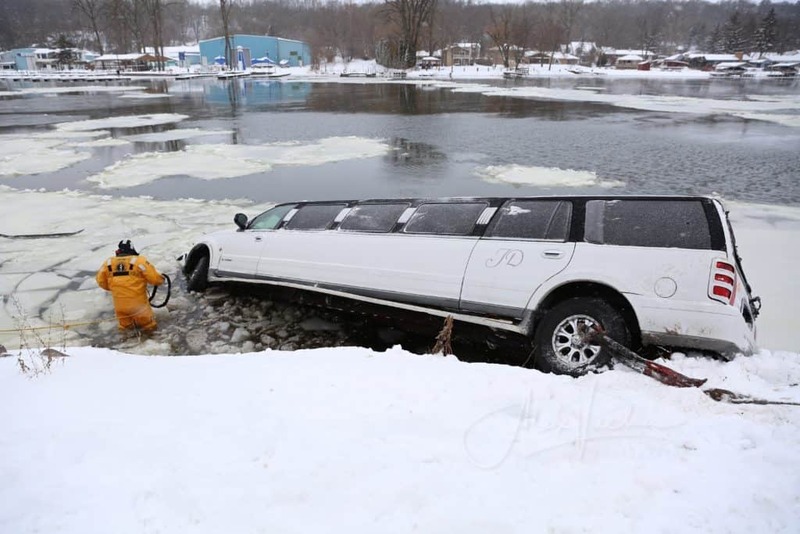 A limousine drove into the Fox River in Algonquin Saturday afternoon | Photo by Alex Vucha. 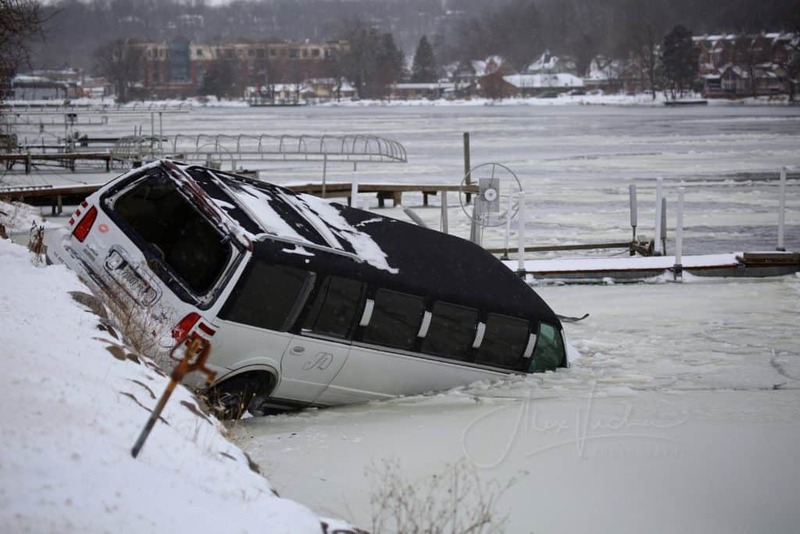 No one was injured after a stretch limousine drove into the Fox River Saturday afternoon in Algonquin, police said. The Algonquin-Lake in the Hills Fire Protection District and the Algonquin Police Department responded around 3:05 p.m. Saturday to the 800 block of North River Road. The limo was partially submerged in the water and the driver was the only occupant. He was not injured and refused medical treatment. Police said that the limo was travelling southbound on River Road north of Wood Drive when the driver lost control and crashed due to slick conditions from snow and ice. No citations were issued and no arrests were made, police added.